We propose a metalens that forms an abruptly autofocusing cylindrically polarized laser beam. The main principle of the metalens is based on combining two elements: a subwavelength polarization grating and an autofocusing sublinearly chirped lens. The subwavelength polarizing grating is calculated separately. It is shown that the grating can effectively convert a linearly polarized initial beam into a radially polarized beam. It is demonstrated that by combining the polarization converter and focusing phase lens, we both increase polarization conversion efficiency and decrease the number of optical elements in an arrangement. Wave propagation through the metalens is numerically simulated with the finite element method, which is implemented in COMSOL Multiphysics software. Polarization and phase conversion is calculated in the near zone behind the metalens. 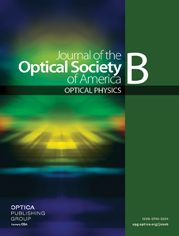 Further wave propagation and focusing are simulated with Rayleigh–Sommerfeld diffraction integrals. Metalenses for forming both diffraction-free and abruptly autofocusing radially polarized beams are under investigation. a Focal spots are located in those cross sections where electric field amplitude is maximal.